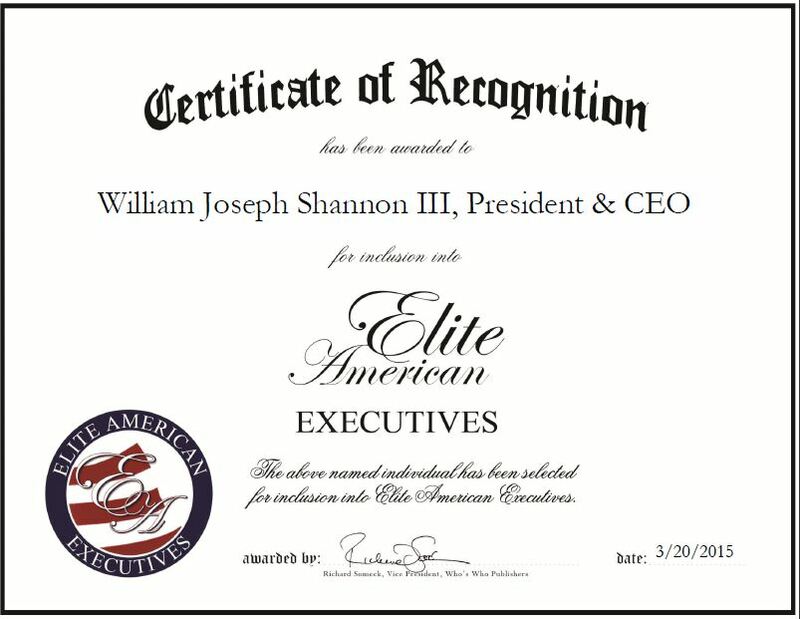 Puyallup, WA, March 20, 2015, William Joseph Shannon III, President and Chief Executive Officer of Interlink Transportation Group, has been recognized by Elite American Executives for dedication, achievement and leadership in transportation. A dynamic and accomplished leader, Mr. Shannon entered the field 18 years ago in order to change his hectic travel-based career to a more balanced career in the transportation industry. Over the years, he has amassed a history of delivering outstanding profits, resulting in adding millions of dollars to the bottom line for small-to-midsize companies spanning a broad range of industries. Mr. Shannon is proud of his work and how his career has panned out. His extensive experience and strong skill set in building strong and empowered teams enable him to drive the success of Interlink Transportation Group. He spends his days forecasting future business in the industry, positioning the company in line with his predictions, and seeking out methods to make his team stronger. For his outstanding work, Mr. Shannon was honored with the Spirit Excellence Award. Eager to achieve even greater success, Mr. Shannon intends to acquire new companies and expand his company vertically in the near future. This entry was posted in Transportation and tagged business development, entrepreneur, profits, team building, trucking. Bookmark the permalink.